After seeing a video of a disabled vet named Arthur Boorman, I was inspired to change and own my life! 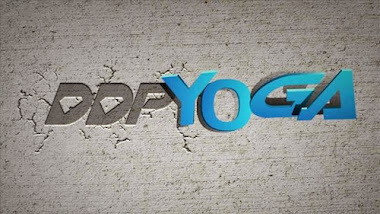 I've met many of my health goals following the DDPYOGA program and continue work on meeting more. I decided to share my journey when I began in January 2013, and have now started blogging my progress: including the ups AND the downs. As a full-time working mother of five with an auto-immune disorder, I hope I inspire others to make time for good health just as I've been inspired to do! GOALS: Why I'm Doing What I'm Doing! It took a lot not to cry today when I realized it was over. The day began rough enough and as the day passed I could feel myself getting weaker and weaker. I literally got up three times to go to the bathroom and each trip progressively got slower. By the third trip, I sat back down in the recliner, closed my eyes, laid my head back and felt the world begin to spin. It was at that point I knew the fast was over. I knew if I didn't call the fast today, the doctor would call it tomorrow. I asked myself what I would be proving furthering my misery into tomorrow because I knew misery was all that would lie ahead. My body was done. It was telling me it was done. But today was only day 26 and I was going to fast for 30 days. How could I be done? I hadn't met my goal yet. Why couldn't my body just do what I wanted it to do? As I called the doctor to relay I wanted some broth, I held back tears. I was really that upset I wouldn't be meeting my goal. Then an abrupt kick; a sudden thought came over me. Call it an epiphany, call it what you will, but it was exactly what I needed to enter my rattled brain at that precise moment. Hadn't pushing my body beyond it's limits contributed to the reasons I wound up here in the first place? Running it out until it just couldn't run anymore. Not taking care of it's needs no matter how loudly it was crying out for help. That's when I told myself no. No you will not be disappointed in yourself. No you will not look on this as a failure. No you will not see this as a goal not met. Ending my fast today was a victory. Today I chose to listen to my body rather than my ego. Today I recognized my body was talking to me and I listened to it. Today I chose good sense over pride and pushing myself beyond healthy limits. Today I realized probably the most important thing I will need to take with after this whole experience and that is to simply be quiet and listen. Today was initially going to be a footnote of defeat for me. I felt it. I've quickly realized that's not what it is at all. I just fasted for 26 days to heal my body. Then my body said it's time for the next phase. I said okay. That's a victory. Goals are important. Reaching goals is great. Realizing some goals may be more than your body can handle, well, that is important. Learning to recognize the difference between giving up and knowing your limits is as important as anything else you can do for your body. I didn't give up today. I listened. I'm going to work on doing that more in the future. I think that's going to work out for me. - I've come off 11 medications and supplements. - My blood pressure is normal (even without medicine). - I've quit drinking Diet Dr. Pepper/caffiene. - I've lost 33 pounds. - I've water fasted 26 days. - I've juice fasted 3 days. - I've eaten completely clean for five days. - I've made the decision to listen to my body when it speaks to me. Yeah. I'm a quitter. And I'm proud. Well, I consider this next phase Phase 3. First phase was starting DDPYOGA and beginning the clean up of my diet. Phase 2 was the extended fast. Phase three is further clean up of the diet and reimplementing my DDPYOGA. It's going to all come full circle! I meant to say thanks as well! Power to the Peop... to the Me!!! Copyright 2013. Picture Window theme. Theme images by ImagesbyTrista. Powered by Blogger.